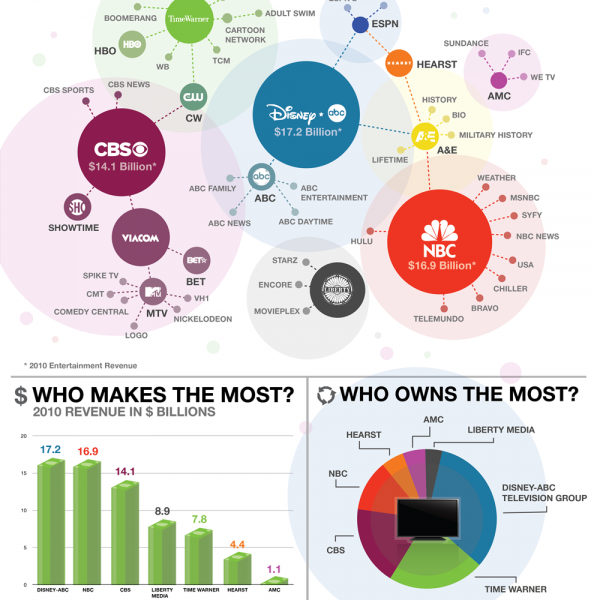 Do Media Conglomerates Influence Media Bias? This story is presented to you by Morgan Purvis, Asia Preston, Erin Reedy and David Perdomo. Together we make up group 18 from Marcia Ladendorff's 9:25 Media Literacy lecture class. Erin Reedy is a Freshman majoring in public relations. Her move from Merritt Island, Florida is just one of many in her life. She chose to take this class because she found the topic interesting and relevant to her major. Morgan Purvis is also a Florida native and freshman at UNF. She decided early in life that public relations was the right fit for her. In her spare time she runs her own photography business. David Perdomo traveled the farthest to get to UNF, moving all the way from New York. He is following the journalism and multimedia track and still plays Pokemon as often as he can. Asia Preston was a business major until the field of communication chose her. She spends her free time preparing for a career in public relations and taking care of her daughter. The group was put together for a Media Literacy project and decided based on group interest to base their project on media conglomerates and the effect each has on media bias. A conglomerate is a "corporation whose asset growth, often very rapid, comes largely through the acquisition of, or merger with, other firms whose products are largely unrelated to each other or the parent company." (Columbia Encyclopedia, 6th edition). In the United States, there are six major media conglomerates. The "Big Six" control all the media the public is exposed to. The forms of media included are not only limited to major motion pictures and entertainment television. They also include informative programs, radio stations and even the news. The six major media conglomerates in the United States are The Walt Disney Company , General Electric, News Corporation, Viacom,Time Warner and CBS. These companies own multiple firms in many different industries. Each firm conducts business with the parent company's corporate interests in mind. In media this is problematic because these six companies control thousands of newspapers, publishers and television stations. This can lead to biased coverage of the issues. "The idea of corporate media itself may not be a bad thing, for it can foster healthy competition and provide a check against governments. However, the concern is when there is a concentration of ownership due to the risk of increased economic and political influence that can itself be unaccountable." - Anup Shah (Media Conglomerates, Mergers, Concentration of Ownership). In the 1980's there were 50 companies that controlled mainstream media. By 1990, 23 companies and in 2013 this number dwindled to six. 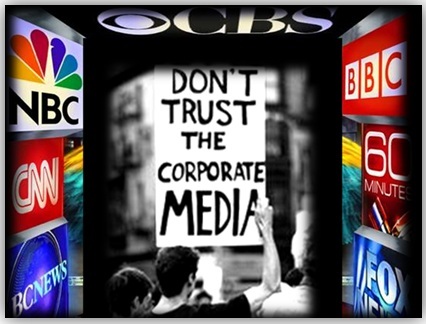 Six companies now control all the mainstream media that reaches the masses. Why is this an issue? When the ideas of a few are projected on many there is decreased diversity and an increase in bias. Media bias is "the intentional or unintentional slanting of news reporting toward one side due political views or cultural beliefs of journalists, producers or owners of a media outlet" (Sterin, 300) There are many types of media bias. Bias by omission occurs when a media source leaves out one side of a story. Other types of media bias include bias by story selection, which is selecting stories that support a particular side or bias by source selection, choosing sources that support one view over another. One of the largest media conglomerates is The Walt Disney Company. Three of its latest acquisitions include Lucasfilm in 2012, Marvel in 2009 and Pixar in 2006. The man responsible for these acquisitions, Robert Iger, Walt Disney Company's current CEO. Iger actively supports the Democratic party and sits on three company boards outside of Disney. These company connections and personal interlock relationships provide insight to the inner workings of the Disney acquisition process. A 2010 study conducted by Pennsylvania State University concluded,"A man of his stature is someone who impresses for his decisions and agreements ultimately contribute to The Walt Disney Company and its affiliated entities of the ABC Television Group to become and remain the largest media and entertainment corporation in the world in terms of revenue with 2009 revenues adding up to $36.1 billion." Disney's ownership of ABC directly influences what television programs and news are produced. For instance, ABC does not produce stories that show Disney sweat shops or child laborers. Viacom is the fourth largest media conglomerate in the world and controls over 160 media outlets. This media conglomerate has ties in television, radio, publishing, film and the internet. Viacom's chief executive, Sumner Redstone considers himself a "liberal democrat," which explains why the majority of programming owned by the company is liberally biased. News Corporation is an emerging media giant as well. This conglomerate owns Fox, National Geographic, the Wall Street Journal and New York Post. News Corporation's CEO, Rupert Murdoch has no shame admitting he is politically conservative which is evident by the reputation of Fox News for airing conservatively biased news programming. Although he frequently denies his control over programming and news reporting, Murdoch has made it clear he is mainly concerned with profit. General Electric is a perfect example of how a corporation can drive media content. The conglomerate owns 27 television stations and multiple cable networks. As the owners of NBC, General Electric does not allow for reporting on the inadequacies of the company and also doesn't allow any controversial stories regarding General Electric to be produced. Politically, General Electric supported the career of Ronald Reagan, but tends to support the democratic side of philanthropic programs. Time Warner Incorporated, a product of the merger between Time Inc. and Warner Communications Inc., has major holdings in television, publishing and film. Jeff Bewkes is CEO and Chairman of the board at Time Warner Inc., he was elected CEO in 2008. Time Warner Inc. acquired Turner Broadcasting System Inc. and along with it CNN, TBS, and TNT. At the 2013 annual meeting of Time Warner shareholders, National Center for Policy Research and Free Enterprise director Justin Danhof confronted Bewkes regarding Time Warner's company bias. "Bewkes recognized that bias is a matter of perception, and seemed fully aware that many individuals like me find the content and presentation of CNN's news and opinion programming extremely slanted," explained Danhof. "Bewkes said he would strive to do better and that CNN's goal was to present the news in a non-partisan way." CBS Corporation not only owns multiple television and radio stations, but it has become the lead supplier in the Google video marketplace. A famous case involves Dan Rather and a story involving George Bush's National Guard service. CBS later admitted that it could not verify the authenticity of documents used in the story. An even more recent example involves CBS News President David Rhodes and his brother Ben Rhodes. Ben Rhodes is Obama's Deputy National Security Adviser for Strategic Communication. This example shows there is a direct connection between the CBS News President and the Obama Administration. "Sacrificing the truth to gain financial profit and political influence is always dangerous, but it becomes even more worrisome when a single individual or family has amassed so much control over the media that they have the power to manipulate governments and change the course of world events. 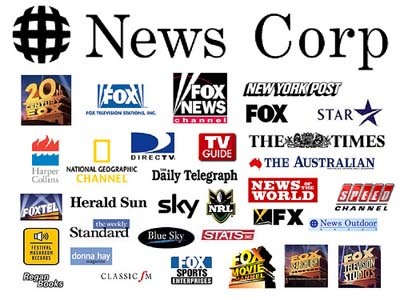 "(Sterin, 262) Today, media conglomerates control the majority of media outlets production and distribution and they exercise power and influence in multiple facets of operation and content. It is clear that programming is now driven by profit and corporate influence. When one entity controls the information, we must question the validity of the information we receive. As media consumers we must sift through the information and question the source. You are about to permanently delete this story. This cannot be undone. To confirm this action, please enter the title of the story below. Are you sure you want to flag this story?